Enjoy all that Birmingham has to offer downtown: a lively area full of fun activities and unique landmarks. 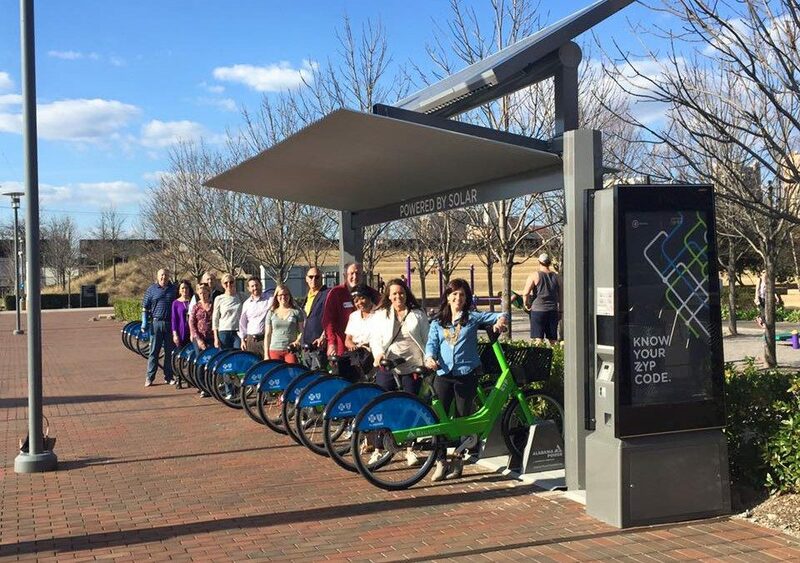 Take your bike around town, grab a bite to eat some of the best restaurants in Birmingham and experience the Magic City at it’s best. Chow down on some of the best comfort food in Birmingham at John’s City Diner. The life-changing “Not Your Mama’s Macaroni & Cheese” will leave you feeling satisfied for days, and you don’t want to miss out on the Fish & Chips made with Good People beer batter. Located around the corner from a Birmingham landmark (and excellent selfie spot) — the “It’s Nice to Have You in Birmingham” mural — your day downtown won’t be complete without a trip to John’s. With all kinds of odds and ends, What’s on Second is the perfect place to browse for the person who has everything. The store provides a unique Birmingham shopping experience that you don’t want to miss. Old posters, campaign buttons, toys, and photos will all be in the mix when you visit, so bring your curiosity and a willingness to dig for the best finds. Check out this new resource that helps you explore the city. With Zyp, you can ride through Railroad Park, zoom through the color tunnel and see Birmingham like you never have before. With 40 docking stations, you’ll never run out of places to go and things to do.